Power Flame’s computer software allows our engineers to design to your specific needs. Our products ensure for optimal heat exchanger configuration. Power Flame's burners are equipped for a range of commercial process applications, including Immersion Tube (Liquid) Heating and Air Heating Appliances. The small liquid heating Tube Burner is made to fire natural gas. Its small size allows for a compact design, thereby reducing installation and construction costs. 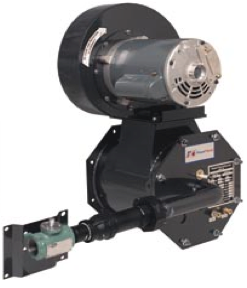 The burners for high velocity air heating offer high turndowns and high efficiency. At A. Borrelli, we supply all of these products and will install them right in your home or business. - Air heaters offer high turndown and efficiency.